So, the details of Labour’s long-awaited capital gains tax have been revealed, and now the speculation begins as to how the government will go about implementing Michael Cullen’s long-cherished dream. One thing that is near certain is that should Labour choose to proceed (and why should they not – they have been promising this since 2011, despite its contributing to their massive election defeats in 2011 and 2014, and they have no other tax policy to speak of), it will not implement the Cullen proposal in its entirety (governments never do). And even if they do proceed, assuming that in this era of feel good politics they do not succumb to a reality check in the meantime, because they know better than the majority of New Zealanders opposed to a new capital gains tax, it is just as certain that the tax will be amended early and often as the myriad loopholes associated with it become more and more obvious. The history of major tax change is always one of constant tinkering and amendment to try to make it more workable. It is no bad thing to review tax policy and the taxation system from time to time, to ensure it remains effective in its primary task of collecting the revenue the government needs to do its business, as efficiently and cleanly as possible. However, politicians invariably run into trouble when they attempt to use the tax system for wealth redistribution or social policy purposes, because those often run counter to the smooth and efficient collection of taxation. They inevitably create loopholes for those who are the target of such policies to exploit, leading to further measures to close the loopholes, in some sort of never-ending game. As a consequence, the tax system becomes more complex to understand and complicated to administer, making it more and more inefficient, and fuelling calls for its simplification. The capital gains tax, no matter how it is designed and monitored, will exemplify all these issues, and be a boon for few but the tax accountancy and advisory businesses. It is, for example, difficult to see how taxing the capital gain on the sale of second property will make it any easier for those currently unable to enter the residential housing market to do so, especially since their problem is raising the initial deposit. It is far more likely, that such properties will be retained within families through gifting or other devices, and an explosion of mechanisms to enable this to occur can be expected. The best way to ensure fairness and equity in the tax system is by keeping it as simple as possible so that it is easy for taxpayers to comply with, and just as easy to enforce, without the need for complex rules, trying to second-guess every tax minimisation possibility. A massive plain-English rewrite of the tax law in the mid 2000s still left us with more than 2,000 pages of tax law, and the capital gains tax proposal can only be expected to add significantly to that. A curious feature of the Cullen proposal is that it is supposed to be tax neutral. The revenue a capital gains tax may potentially raise over time is purportedly to be re-distributed back to those on the lowest marginal tax rate. That means all taxpayers, including those paying the capital gains tax in the first place, as well as the least well-off, will end-up receiving the same personal tax cut! It is hard to see the logic of how that contributes to the redistribution of wealth the Prime Minister talks about. Her airy dismissal of criticism, saying it is really all about some undefined sense of fairness, is shallow and no answer at all. The blunt reality is that all the mealy-mouthed talk we have heard so far about the capital gains tax is a giant diversion tactic. This is not about fairness, rebalancing the tax system, or any other vacuous inanity used to describe what is going on. This is about Labour doing what it always intended and using the Tax Working Group as its cover. If Labour had been truly serious about fundamental reform of the tax system, it would have sought to answer much more basic question first – what is a reasonable level of expenditure for a New Zealand government, given its various social and other commitments, and what is the best way of funding from a tax perspective? That way, an expanded and broadened working group would have been enabled to make a meaningful contribution to the future shaping of social and economic policy, rather than just be used as stooges for a predetermined policy outcome, the way the majority of the Tax Working Group have been. Mr Dunne was a stooge himself - for a way of thinking which was always temporary. It's like listening to a dinosaur. The joke is that Cullen - perhaps the most intellectually-able person we have seen in recent Parliamentary history - was hamstrung by both his brief, and by the mass societal assumption which is just plain incorrect - that a growth-based system can continue indefinitely. Dunne (ignorant of the implications, we can presume) references this societal malaise when mentioning 'election defeats'. An there we have the problem - leadership by, of and for a massed ignorance, kept thus by a compliant media. In that (being idologically-hamstrung) he and Dunne are united - and wrong. Which renders the whole discussion, somewhat irrelvant. Yin versus yang on an increasingly-sloping deck. You can't fall back on loose philosophical notions of 'fairness' when people are asking technical questions about tax like this. It's not the 'vibe' of the thing. You also can't rail against intergenerational inequality and then give the people who caused it the benefits today by handing future Kiwisavers and business owners the bill in 40 years time. If National had delivered this report, Labour supporters would be melting down. But don't worry, we have an army of high profile and well paid newsreaders and public servants who are masters of everything, who can tell us plebs what 'fair' is and why that trumps all our concerns about the actual details. I think that's a poor argument. The tax cuts may not narrow the gap, or at least not much, but they certainly lift the lot of people on lower incomes. Another poor argument. It is about fairness. It's simply not fair to not tax the gains made on property, when salary earners pay tax on their income. Don't get me wrong, I don't think a CGT will do much, if anything, to affect house prices. But it IS fairer, and if balanced with income tax cuts will improve the lot of people on lower incomes. Just to recall a bit of history. The Lange/Douglas government introduced, and then increased, GST. For that they provided compensation by way of cuts to income tax. If I recall the aim was eventually, to arrive at a flat tax rate. Then next time round the Clark/Cullen government (behind the cover of Anderton) simply boosted income tax again. It was a blatant cynical tax grab. And for one, Peter Dunne, had both the spirit and the commitment to fair play, to leave the Labour Party because of it. It would be naive to an extreme, to believe that any similar compensation to income tax for a CGT will not be just grabbed back again by a future government of any cloth, when the time comes. But you could say that about anything. Yep, and it seems they (ie whatever government) believe they can get away with anything too for as long as they are in power. Politics for the day overrules politics for the future. No different to anywhere else though. But property is generally purchased with tax paid income, usually you try to avoid taxing the same item over and over again. It is why GST can be claimed back by all the intermediary’s who charge it on to the end consumer. To make taxing this income fair you would need to give PAYE refunds on any income used to purchase Capital assets. You're not being taxed on the purchase price of the property, so what you say is rubbish. Not that you’d give a stuff about double taxing. You advocate for the house to be taxed based on its value year after year, again and again, until the amount of tax paid eventually exceeds the value of the house itself. This, despite paying tax on the income used to purchase the house. Now that is rubbish. Realestate only ay? So you’re not even consistent in your proposed application of this rubbish idea. Err, what? can you not distinguish between my desire and that of a totally different entity, being in this case a political party? I’m pointing out that you are logically inconsistent by saying that realestate should be subject to the tax, but not other major assets. At least TOP are consistent in their application of the idea, even though idea itself is rubbish. But I shouldn’t be surprised that you don’t understand, given that you subscribe to something as illogical as a wealth tax in the first place. You’ll have to do some mental gymnastics to explain why the enjoyment/utility or imputed rent from one’s home is “income” that must be taxed, but the enjoyment/utility or imputed rent from one’s boat is not. House/land, appreciating asset, limited usable land, and something everybody needs. Boat, depreciating asset, only a few people actually need one, no real limit on how many can be constructed if people want one, so your not monopolising a limited resource. I'd also extend TOPs tax to shares and other financial instruments, and remove the FIF system. Exempt kiwisaver, make contributions compulsory at 3% of gross earnings, and announce tapering off of National Super. There ya go, that should give you something to rage into the night about.. toodle-pip! lol, massive backtrack. So much for “I would limit it to real estate only“. Are “shares and other financial instruments” also “monopolising a limited resource”? No. Toodle-pip? Haha, night, ya cuck. Realising now that your irrational ideas have been exposed, you start to feel emotional and, unable to muster a counterpoint, resort to this. You're the one that started throwing insults around. Its amusing to see the inner trumptard come out when you get pissed. Either toughen up or smarten up, because we can’t keep going on like this :) I just want a logical explanation for your tax ideas. Nah, you just want to bloviate more. You don't need my participation to do that. And we are never going to agree on it, so it's a pointless waste of time. Ok, but just a heads up for the future - when you advocate for weird and wonderful was of taking money from people who earned it (or didn’t earn it in the case of a wealth tax given that the income being taxed is imaginary) to give it to people who didn’t, people are going to ask you for a logical explanation to justify it. Nothing weird and wonderful about it, all tax is simply taken to raise enough revenue for the state to provide the services it does. Income tax is no more or less logical than land tax, window tax or poll tax. They all advantage some group and disadvantage some other group. Pretending otherwise is just silly. So it becomes a matter of what is politically palatable and what outcomes you want to achieve. No, it most definitely is not. It is paid for with debt - which is the expectation that paid income might be had i the future. That's nothing more than a forward bet. At the moment Labour thinks it represents the majority -- but its really a vocal minority - the same vocal minority that led to Brexit - and yes TRUMP -- who won his election by a regular landslide based on the silent majority not the empty vessels making all the noise. NZ first have always opposed a CGT -- and if they dont block it they will be history at the polls - and if they do the coalition is finished ! Doesn’t make sense. Following your logic there shouldn’t be a tax on anything other than on income. There is logic in that argument, yes indeed. But it all gets lost in translation with regard to what is direct and what is indirect taxation. For instance paying GST on your rates is a tax on tax but it is obscured by the smoke and mirrors of the ground that falls between local government and national government. The biggest and most radical event in our tax system to date was the introduction of GST. So that came in and now we have income tax not that much different to before that. So my cynical self predicts that is we introduce CGT a few years down the track income tax will have reverted to what is was at the time. So the answer. Great. We have GST and CGT and the same old income tax levels. According to Churchill you cannot fool all of the people all of the time. Well on this one he is wrong. Yes, there has been. 80% of National voters, around 40% of Labour voters. Numbers were released last week. Ok. Was it the nuanced question or the straight out unnuanced wuestion? What was the question. That’s all I am asking. 46% support v 41% against CGT where question posed included a reduction in personal income tax. This is another position I don't like. An almost ideological adherence to the idea of a beautiful tax system being simple and efficient. Sure, that has its benefits. But surely if there are sound social / economic policy reasons for some greater complexity, then it's worth at least considering? In this country there seems to be a superiority complex around both our absence of a CGT, and our simple tax system. In fact, there are good reasons why almost all of the world has a CGT, and most of the world has a tax system more complex than our own. For example, I really like the UK's policy of not charging VAT on new housing. Imagine how much more housing could be delivered to the market here if we didn't charge GST on new housing? I also like the policy of some countries where GST is not charged on fresh food and produce. The "simplicity" argument is always trotted out by the ideologues - but oddly enough - none of them support a land tax. Nothing could be more simple than a flat tax on land! +1, including the family home. And legislate to require local government to only rate on land value. Simple, but incredibly draconian. Infringes on individual property rights, which is the foundation of democracy & open markets. Some day we will get a CGT cause the rest of the world has it right ! The TWG outcome to me is ridiculous, 33% rate, family home exempt, no inflation indexing, Kiwisaver included ?? surely this doesn't make sense ! 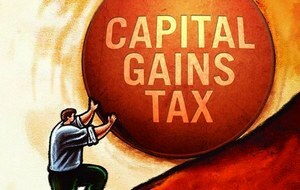 Normally a CGT is set at around 15% and often only 50% of the gain is taxed like the USA. Common sense would be CGT applies to everything but at a low rate say 7-10% so there are no loop holes. Australia has suffered the 'Mansion Effect' by not including the family home. If it applies to everything everyone is in the same boat so there is not a resentment factor. National and Labour could have a bi-partsan agreement on this - maybe ? Is it FAIR that the average person goes to work and pays tax when there are generations in this country that are just a total liability by not contributing anything? Jacinda Ardern and her cohorts are so far off the mark with this CGT by saying that unearned income from price increases on rental property should be taxed. I can tell you that Investors that provide shelter to people deserve any capital gain they receive as most do many things that are not claimed on. That is repairs and maintenance that they do themselves and paperwork etc, and many prop up the property financially each and every week, so if there was no gain then why would anyone negatively geared bother!! Better not show your face at the bowling club after making those comments TM2, you'll get a whack round the ears with a walking stick from some pissed off pensioner. Don't give us the 'landlords who provide shelter' crap. Does that mean businesses that sell food shouldn't be taxed? Agreed. Landlords take first-home buyers chances from them, then diverted what could have been the purchase money into their own accounts. It's called being a parasite. Nothing is 'contributed' by alandlord, that coudn't have been done (probaby with more care) by an owner. Well the first home buyer should buy then???? Pretty pointless stating that landlords take houses of first home buyers! Don’t rent, buy, no problem!! Subtract definitely, the number of affordable homes will drop. What else to expect when you start taxing the thing you want to encourage? The only way to get affordable housing is for the government to build a lot of houses in a shared equity programme. So tax land, as you can't 'encourage' it into being - and doubly tax vacant land that is zoned residential if you want to encourage houses being built on it. But - they can't buy beause someone's hoovering their rent, while placating concience (if any) with such-like platitudes. The rich get richer - they own the leverage. Cullen's crowd would like to re-distribute. Mine says you're both out of time. And GBH - healthy or not, they're still parasitic on tenant income. Yes.... but it’s not a charity. There will always be those people who want to rent rather than own. Is the massive increase in the number of rented households because people are choosing not to own their own home? Or is it because we have parasitic landlords displacing FHBers from the market due to time of birth, tax advantages, additional income streams from existing rental portfolios, equity recycling for a deposit and interest only lending all enabling these parasites to turn up on auction day with a bigger offer. Agree. And landlords are a very important part of the housing mix. But to pretend they are a charity is a joke. They benefit, tenants benefit. I missed the bit where GBH claimed it was a charity. GBH implied that Landlords provide a valuable product to their tenants. I've heard narratives on here suggesting landlords provide a form of charity, but let's avoid that for a moment. Landlords today are just a self licking ice cream cohort (thanks Independent_Observer), their presence alone adds demand at the lower end of the home ownership spectrum. But because they're "investors" they have had so many more advantages over first home buyers in the form of tax rebates. I bought my first home 18 months ago, why can I not claim my interest or other expenses against my taxable income? Landlords provide a service which people pay for like many other businesses.Why is it so hard to understand? There are also a huge number of supporting businesses - lawyers, property managers, real estate agents, accountants, tradesmen, banks, mortgage brokers, web sites, govt agencies, focus groups/institutes, welfare structures. It's a complex business ecosystem. Destroy the landlords and face the consequences, like Mao killing all the sparrows. It is one of the easiest businesses to get into because it has so much well established support and is safer than any other business. When you look back it's a wonder that more people didn't get involved with it. Z-S I pose a question for your intellectual pleasure. OOn a finite planet, perpetual gowth is impossible. So do we outlaw interest, or do we inflate to fit the confines? And the humdinger - what's the difference, growth-inducing-wise - between charging interest and charging a profit? I don't agree with your premise that we are on a finite planet. You're too hung up on that, approaching mental illness.To all intents and purposes we are living in an infinite system. There is a vast amount of energy available, we just need to tap it. Solar, nuclear and geo-thermal. You might as well be saying, "we are all going to die anyway, so why bother?" Not sure what this has to do with landlords running businesses though. Right here, right now we can earn interest, earn money from providing products and services and this is going to continue for the foreseeable future. And it's energy that does the work that procures, processes and proffers products. And we tapped into the one-off mother-lode, built our whole infrastucture set on the basis of it. Take a look around you. My question is: how will the combined expectation (of ability to spend) fit the dwindling resource/quality base? What exactly are we taxing? And the answer is to live in a long-term sustainable manner. A lot of us who sail small boats long distances, get the concept, more than do peopls in ordinary life. It's not hard to see why. Read all the latter and get back to me...... It's a little like hollering that the Titanic is sinking, but people are going on renting the staterooms out and there's this proposal to tax them. Not much point if you realise what's breaking. You realise that fiddling with tax with an overshot populace and a degrading planet, is pointless. Amounts to denial/avoidance. It is you and your "circle" that are the nutcases. When I look around I see a surplus of materials and energy. Julian Simon won all his bets against his detractors. You are just pushing this nonsense to achieve some weird socialist objective. It's pretty transparent, especially when you called landlords "parasites". I write - which makes me a parasite on the energy system too. Don't pre-suppose and never make the mistake of typecasting (putting the mesenger down) to reject an unwelcome message. I'm not just attacking the messenger, I'm attacking the message. Most of our problems like obesity and pollution are caused by an excess of stuff. Your definition of "parasite" is too broad. @PDK so am I correct in thinking you are one of the delusional people who believe that a new TAX will somehow make the price of something cheaper ? If you believe that , then you must also believe that the cost of new builds must fall dramatically( given that we all know that "used " house prices are simply tracking the ever-increasing costs of "new " houses ). At current wage rates and building materials prices the costs of new builds are NEVER going to fall . A a general rule , we all know that if you want less of something or less consumption of something you slap a tax on it ( such as cigarettes, alcohol, protective tarriffs on foreign goods ) . If you want more of something ( such as rental houses for people when the State cannot do so ) then you put incentives in place, as Helen Clark did when her Government realized it could not house everyone as allowed all manner of deductions including depreciation to encourage the provide sector to provide rental stock . Mr Boatman - try reading the op/ed pieces I've written lately. Why on earth would you thing that çheaper''even comes into my sights? Cheaper has nothing to do with our societal conundrum - indeed the chase for it as a goal, is one of the reasons we are wiping out our chances of future survival on this wee planet. I see it in energy/work terms, and energywise, I count things as parasitic or not so. we need to change our conversation. This is a first.... I've given TM2 a thumbs up... one should recognize a correct statement regardless of who made it or what their other viewpoints are. Oh -- and in the middle of all that -- remember that no bank will lend them more than 50% of the land value on the first place -- and that all those traffic, geotech, planners, architects are all really nice people who take credit! PDK show me a functioning economy anyone would want to live in where there aren't private landlords. Oh wait, there aren't any. ''I can tell you that Investors that provide shelter to people deserve any capital gain they receive as most do many things that are not claimed on. Please don't bother then maybe I will be able to buy a house for myself to live in. The real issue here is that by eliminating the family home - it simply incentivises one to spend incremental investment on a larger house rather than a business investment or new rental accommodation which is subject to CGT. The solution is to include ALL property - then provide a cut in limit say median house price by region - below which the owners house is exempt. The CGT breaks the basic laws of taxation - universal and low rate. Most worrying is Shaw's comments last week that " We cannot fix child poverty without a CGT ... " which simply means an additional revenue stream. To provide a tax that both incentivises investment in productive enterprises and captures to a degree capital gains on land - then a land tax administered by the existing councils is trivial in it's implementation. They already have systems in place for cash poor granny's to roll up the tax until sold or passed on. Whereas his version of a CGT will do what to them ? ... .... snippers and testicles spring to mind ! Agreed. Accounting will be a nightmare otherwise. Would have a higher rate for overseas ownership or people who are tax resident overseas. Cameron and Thiel could easily pay. Add in the owners of the Great Merc Islands, might but kiwis but tax residence is elsewhere. I thought a land tax was off-the-table as part of the TWG terms of reference... hence not considered by the TWG? I could be wrong on that though. If it was on the table and his/their excuse for leaving it out had to do with agricultural land in a bad year... that's just plain rubbish. Agriculturally zoned land could have it's own set of rules and rates. A whole lot less complex than leaving out the family home, as is the current recommendation..
it was on the table but exempted the family home. There are no 'basic laws of taxation'. There was just a societal system of tabulating access to resources. It increasingly won't work. Child poverty is actually 'Child lack of access to resources' and no amount of taxing can alter the amount of resources or the number of children. And until we do both, Shaw is completely wrong. Society is essentially going into mass reverse annuity now - irrespective of taxes. How we inter-react with each other during the wind-down and what part Govt will play in that, are the questions. And part of answering that question relates to greater emphasis on equity in taxation - and less on efficiency. The 'perfect' tax (i.e., most efficient and most equitable) is a land tax. I've read elsewhere some economists prefer a consumption tax proportionate to income/wealth as their ideal, with no tax on income or capital gains. To make it work though everyone would have to carry some form of ID (electronic or not) with their consumption tax rate. Given NZ is not a closed system one presumes there would have to be some sort of boundary tax for profits shifted overseas. Most tax reviews - and for that matter all manner of reviews commissioned by the Government - tend to come with a plea from their authors that their recommendations be seen as whole and not be cherry-picked. Cullen on the other hand, has delivered an entire cherry tree and invited the competing forces within Labour, New Zealand First and the Greens to inspect and to pluck only the part they agree with. Such are their differences, it is quite possible that when the Government's final position is revealed in April, that the only new tax on which they all agree is a capital gains tax on residential investment property. I do have some sympathy with the 'fairness' argument, but I limit this to land: as the Productivity Commish has long noted, a squiggle on a planning map renders land on one side of the squiggle worth 10x land on the other. Yes, but they could also go for an environmental tax (or two) as well. The whole sense of infairness has causes. Yet the discussion is about the effects. If we can see that wealth is deserved we have no problem with it. If we see wealth accrueing to people who have successfully gamed the system, whether intentionally or not, then our trust in the system is destroyed. Which is why I do think they'll go for an environmental tax (or two). You are probably both right. Both misguided attempts to appear to address the symptoms, I suspect. Which is just so much easier than attemting to figure out causes. Blame someone, anyone will do. The left is willing to identify problems, but only when it suits their ideological bias. This allows them to advocate their god awful solutions which are just a power grab of the iron fist in velvet glove variety. Basically, socialists all believe they should be in charge and that everyone should do what they tell us to do, (they tend not to mention the very real or else). It all sounds so wonderful at this stage, but Lenin's utopian ideas lead before long to Stalinist hell. So, in our case, Leninist RBNZ policy agreements by National and Labour (eg 2% inflation target) leads to societal decay, leads to more Leninist policy, in a steady ratchet of decline. 4) That somehow a new tax would miraculously make housing cheaper , when we all know that average house price increases have simply tracked building -cost inflation . The whole thing is a farce and should be treated treated with utter contempt . Inequality is a real issue. Incomes of the lower paid are too low. I don't think you can fix it via tax, taking from one and giving to the other. example. If we deleted the access to cheap labour via our low quality immigration policy, wages would have to rise to attract workers. Yes that would be a challenge to many enterprises. But that challenge would lead to greater investment adoption of technology and more productive enterprises. In my view our policy has effectively been for a low wage economy, and since a long time. Always going to end up with inequality and unfairness. If the government focused on productivity they would reduce income inequality dramatically. The reason there is income inequality is not due to the rich getting richer, its that the poor/middle class don't have a chance in hell of making any material gains in living standards without gains in productivity. Re distributive systems won't change a thing, there isn't actually that much money to redistribute from the top end, especially not via a CGT. The problem is not the vast amounts money the rich are hoarding, its that there simply isn't enough money/wealth in aggregate for the country to experience real gains in wealth. To be totally honest, I couldn't care less if a CGT goes through, the only shine is that there would be an income tax cut at the low end, and then they'll realize they don't won't get a dime from a CGT, what many, (I haven't seen a single person who has made the connection) don't realize is that the residential market across the country is experiencing a bust on par with Japan in the 1990's, near textbook resemblance. It will take 30 odd years to return to its former glory. Unfortunately. In the meantime, lift the middle class via productivity and investment. It will come down on housing speculation, the other areas will get off the hook, the aim being to kill the speculators off and exit the tinpot rentseekers and their swamphouses from the marketplace. The government will quite rightly expand its state housing stock so there are a generous supply of safe and reliable properties available for rent instead of living under a bridge. Not once have the Tax Working Group asked the single most important question. How much tax do we need? Time to start looking at the amount of utter crap our tax dollars are being spent on, and get rid of that before just holding out a hand for more money. "Everyone seems to miss the point that existing tax law already taxes gains on the sale of assets if they were bought with the intention of resale at a profit. If you buy a property expecting to make a “capital” gain on sale, then that gain is taxable income. The IRD need to do a much better job of applying the existing law. So tell me again, why do we need another tax?" Is this true? And if so, couldn't the IRD retrospectively go after a whole lot of people who haven't paid tax on the sale of investment properties, if it is true? And if it is true, don't bring in a tax, but police this better and go on a public campaign. Surely anyone who buys a rental property has an intention to sell it at a profit on resale? If someone who knows much more than me about tax could please explain!!!! Yes, technically its true, but how do you prove intent? "I never intended to sell, it was for generating an income, but then this other place I really liked that would produce more income for less work came on the market so I sold (and pocketed a massive capital gain) and bought the other place"
I just went onto the IRD website. Correct me if I am wrong, but it seems like the intent aspect doesn't apply to the bright line test. In which case, arguably (especially with the BLT being 5 years now) we have a tax approach that is already helping to address speculation? One would think...that it would deter speculation, especially in a market where big quick gains seem to have disappeared. For example, in 2012 Speculator X might have considered buying properties and selling them for a lot more within 2-3 years. Eg. buying a flat for 400K in 2012, and then selling it for 600K in 2014. The 200K gain would not be taxed. In 2019, the same speculator X might think about buying a 600K flat, then holding it for 2 years (maybe with a bit of reno) then selling it in 2021. But even with a modest potential gain of 50K, that would be wiped out in tax (BLT) and agent fees. Also, Speculator X will struggle to pay their mortgage payments because of the lack of rent. Was there a surge in speculative behaviour before the 5 year bright line test came in? Another reason the market will head down? 5 year brightline just slows the cycle down to 5 1/2 years. If you are in a position to have a rental/investment property and already have a paid off main home then there aren't that many circumstances that will force you to sell the investment property.. This could point the way to a viable CGT campaign for the government. Back off Kiwisaver (which will basically be hitting the young, those who haven't yet accumulated) and simply announce they'll extend the bright line test to (for example) 10 years, or significantly further. Professional landlords would not be affected much, but speculators would.